Express is a faster way to back up with Google Photos. Over the past week, Google has started rolling out Express backup to more users in India. Since introducing Google Photos, Google has aspired to be the home for all of your photos, helping you bring together a lifetime of memories in one place. To safely store your memories, Google offered two backup options: Original Quality and High Quality. However, in India specifically, Google heard from people using the app that their backup experience was at times longer and stalled because they might not always have frequent access to WiFi. In fact, Google learned that over a third of people using Google Photos in India have some photos that hadn’t been backed up in over a month. Google wants to make sure they’re building experiences in their app that meet the unique needs for people no matter where they are, so last December, Google began offering a new backup option in Google Photos called Express backup to a small percentage of people using Google Photos on Android in India. Express provides faster backup at a reduced resolution, making it easier to ensure memories are saved even when you might have poor or infrequent WiFi connectivity. 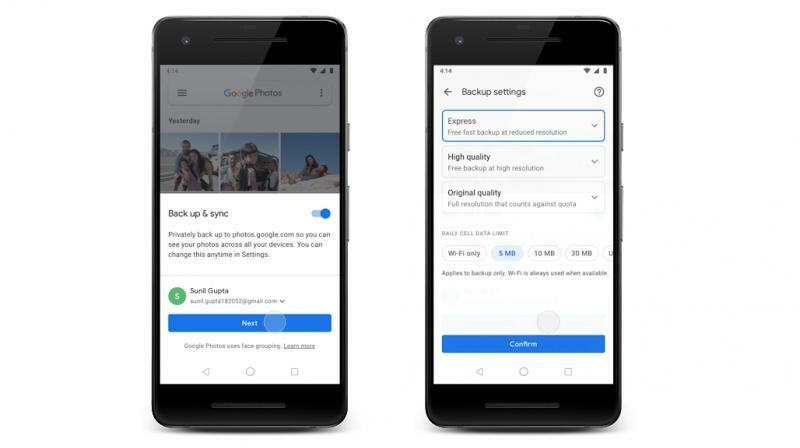 Over the past week, Google has started rolling out Express backup to more users in India and by the end of the week, Android users on the latest version of Google Photos should start seeing it as an option for backup. In addition to Express, you will still have the option to choose from the existing backup options: Original Quality and High Quality. And, in addition to rolling out Express as an additional backup option in India, Google is also introducing a new Data Cap option for backup. This gives users more granular daily controls for using cellular data to back up. People can select from a range of daily caps, starting at 5MB. Google is starting to bring Express backup to dozens of other countries, rolling out slowly so they can listen to feedback and continue to improve the backup experience around the world.